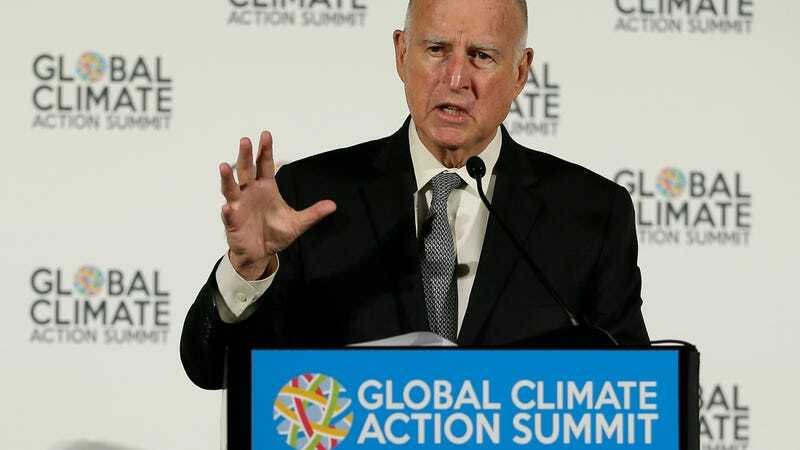 California Governor Jerry Brown announced on Friday at the Global Climate Action Summit that the state would be launching its “own damn satellite” amid concern that Donald Trump’s administration is minimizing NASA’s role in climate research, Politico reported. In May, the journal Science reported NASA’s Carbon Monitoring System (CMS), which monitors greenhouse gas emissions from a network of aircraft and satellites, was in the crosshairs of budget-slashing White House aides. CMS is important to a number of climate change-related projects, such as verifying compliance with climate targets and helping to merge various sources of climate data like future space-based carbon observatories. The House appropriations panel that manages NASA restored funding for the program within weeks, but its continued survival is in doubt, the Union of Concerned Scientists wrote in June. Now, after raising nearly $200 million from venture investors including DCVC and Google, the company operates 150 satellites, the world’s largest private fleet, representing more than 10% of the active satellites in orbit. Each day, it collects imagery of earth’s entire landmass, a mind-boggling amount of data which Planet sells to customers including journalists and hedge funds, agribusiness and governments. Brown recently signed off on a plan to switch California to entirely renewable electrical power by 2045, ditching gas and oil for sun, wind, and water. However, the governor has also faced significant criticism for declining to act against some of the “dirtiest and most dangerous kinds” of fossil-fuel extraction operators, the New Yorker wrote, including fracking and urban drilling. Brown’s climate conference was protested by a number of environmental and indigenous organizations, who said that he talks a big game but has overseen the steady expansion of oil and gas permitting that disproportionately affects communities of color and lower-income residents.